Are You Grumpy or Just Neglecting Yourself? Do Women Need to Be “Empowered” to Display Strength? We live in an age now where women are breaking conventional stereotypes and finding their voice. They are quickly ascending the corporate ladder and earning prestigious positions in Congress. Others are bravely walking away from abusive relationships and learning not to criticize their body shape just to conform to the expectations presented by the media. A smaller number of women have even broken the bonds of tradition and lowered onto one knee to pop the question to their beloved boyfriend. I celebrate the monumental achievements that women have earned. I applaud them for their unceasing lack of courage and strength along the way. But no matter how many hurdles we conquer into the future, and no matter how close we may ride to the line of equality with men, I will never be the girl that proposes to her boyfriend. I wholeheartedly believe in the advancement of women in all areas of life, but I am still a traditionalist at heart. I believe in a woman who can maintain a career that she loves while still being a doting wife and momma who helps take care of the home. I believe in a woman confidently helping out her man when he needs her, but I also admire the man who swoops in to assist his lady with a task that would be a little smoother with an extra set of hands. That isn’t a man who is trying to flaunt his dominance; that is a loving partner who has the means and desire to help his lady do anything she sets her mind to. I believe in my man being the one to pop the question because the traditional proposal to a woman has always been the men’s moment of ultimate expression. It is one of the handful of times in a man’s life where he can set aside the pressure to lead and be unshakably strong. It is in this moment where he shows his woman that he not only desires her, but that he also desires her acceptance of his love. This tradition defies the history of men overwhelmingly controlling what women were able to do and who they were able to marry. When a man lowers onto one knee, gazes into his girlfriend’s eyes, and nervously pours out his love for her and his hopes for a life of devotion to one another while brandishing a sparkling ring, his heart is void of superiority or control. Instead, he relinquishes every wall that the pressures of manhood have required him to build around his heart, and offers himself wholly to the woman he loves. I think of it this way: After a woman becomes engaged, she floods her text messages and social media with pictures of her and her new fiancé kissing, with her hand extended towards the camera, daintily relaxed to show the gorgeous ring that now rests on her finger. The next few weeks go by in a daze, with joyous narrations of the engagement, where it happened, and how he proposed. The woman excitedly begins to research and plan all the intricate details of the wedding with her mother and her friends. This is her time to shine. The man, the one who proposed, seems to fade from the forefront shortly after the engagement. This is because everything prior to the proposal, right up until the very moment, was his moment to shine. 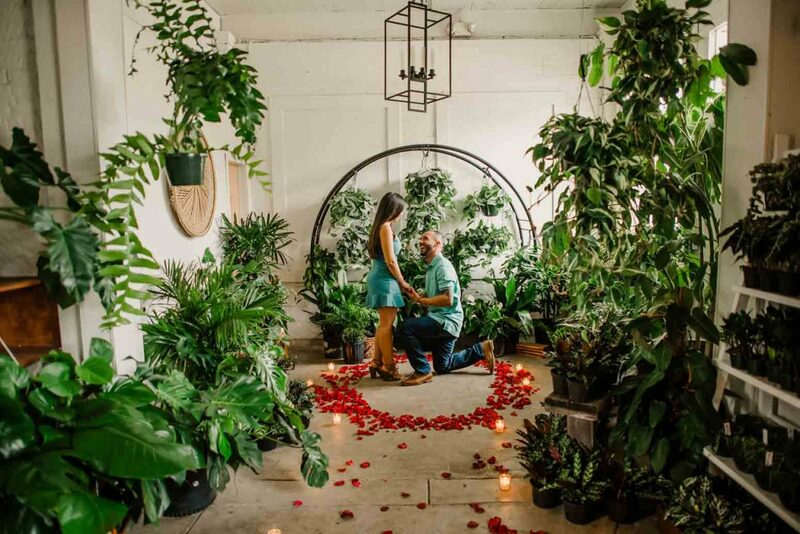 Though it was a bit more discreet, he may have taken several weeks or even months to prepare and plan for the proposal. He searched for the perfect ring, and coordinated a time and place that he knew would be perfect to tell the woman he loves that he is ready for forever. He spends ample time mustering up the courage to offer himself to her in a moment of vulnerability, where her decision could either break his heart, or make him the happiest man alive. While I applaud the women who get down on one knee and choose to propose on their own, I am equally content to let my man take the reins here. I want him to be the one to propose because he deserves the chance to offer his heart and all of himself to me when he is ready. When we each shine separately, we will be brighter together. Tess is a college student who can usually be found downing her second (or third!) coffee of the day, reading any number of books simultaneously, and gushing over the cute wild rabbit she just saw. These can occur in any order, or all at once.